The moment I received this small surprise before new year I was curious why is it called pH Matchmaker? 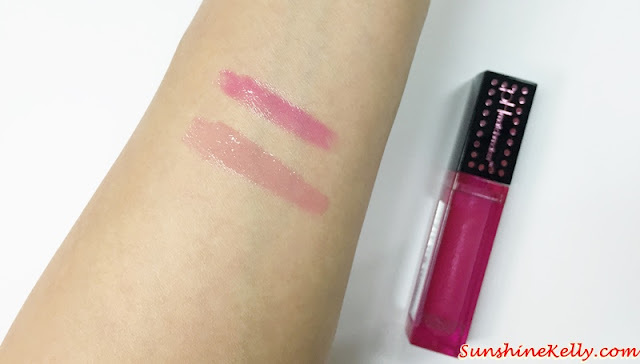 It is not any ordinary lip gloss, hmmm… it got to be more than the usual. Actually the Physicians Formula pH Matchmaker pH Powered Lip Gloss instantly matches our body temperature in 60 seconds. This is the 1st ever lip gloss with pH Power Complex transforms into your perfectly personalized hue. Why we like Physicians Formula pH Matchmaker pH Powered Lip Gloss? Let’s start with the physical outlook first, the sleek rectangular long tube lip comes with the mirror attached on the side of the tube. It’s it pretty handy especially when we don’t want to be so obvious using the big mirror for touch up. Oh yes! this is very useful when we are in the clubs after a few drinks and munch the snacks we might want to check out or touch up our makeup but no so convenient or lazy to walk over to the ladies. So this mirror and light are extremely handy. 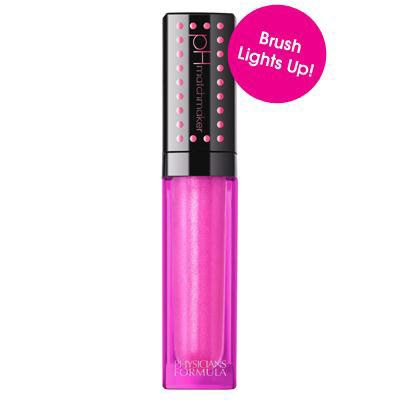 Plus when we are in a dark area or try to search some stuff in our handbag this lip gloss light is super handy. Just click to lights up and another click to lights off. The original color is fluorescein based dye-senses the pH level of your skin & adjusts within 60 seconds to create your perfect lip color. That means it will changed color to match our body temperature. The photochronic powders-light adjusting pigments adapt to your environment so color looks the same indoors & outside. The brush is smooth to glide on our lips. The lip gloss texture is not too thick and non-sticky at all. It creates a natural pout and glossiness. As the color match our body so it looks natural and quite lasting. Mine turn out to be pinkish tone. 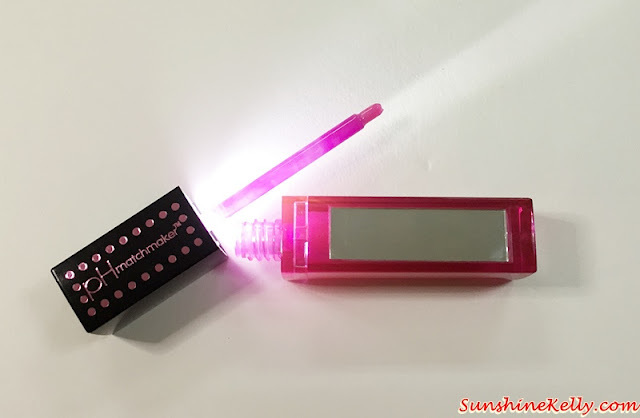 Overall I find that Physicians Formula pH Matchmaker pH Powered Lip Gloss packaging is innovative and quality based on its price range. It’s hypoallergenic, dermatologist tested, developed for sensitive skin, safe for sensitive eyes & contact lens wearers. Physicians Formula was created by Dr. Crandall in 1937, a leading allergist in Los Angeles, out of love for his wife who had sensitive skin. Being healthy and glamorous, the America’s No.1 Brand products are free of the 130+ known irritants found in many brands. The wait is over as Physicians Formula has finally arrived in Malaysia. That's a lovely lip gloss! And it comes with a nice packaging. Would love to have one for myself. I'm not a fan of big-time lipsticks, I am more of a lip-gloss, lip-balm girl. So this one's for me!! This is such a fancy lip gloss. I love that it already comes with a pocket-size mirror and LED lights. Wow! I'd wait for the time that it also becomes available in Manila. That's such a cute lip gloss. Love that it has a light. Perfect for a girl who's always on the go. My girls would love this!